We have been shifting around our team over the past few months. I strongly believe that you should shape a role around a person and his/her strengths. Find good, passionate, smart people and the rest will work itself out! We’ve hired a new recruiting manager, Gertrudis. She is working on a PR plan to attract more candidates. We were on the Channel 14 show down in Nicaragua, and they have already asked us back to keep us in front of people. She is building relationships with all of our “people partners”. These are the organizations that we work with to recruit more women. 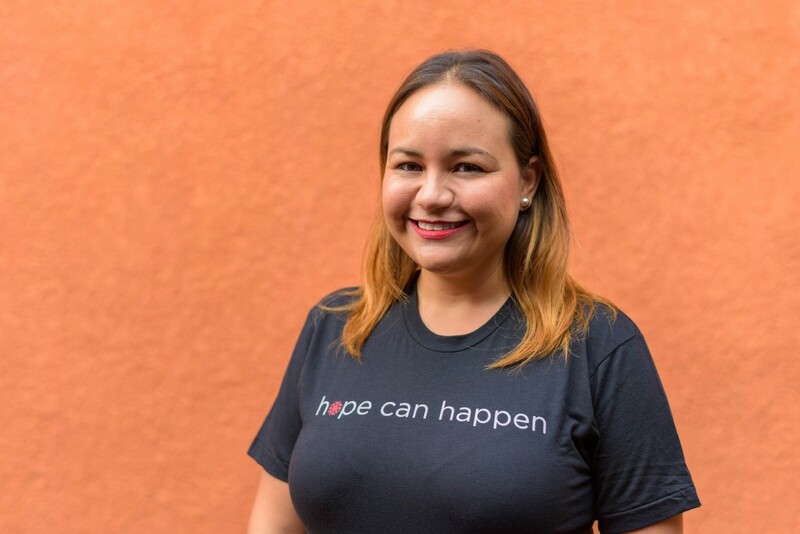 Churches and other nonprofits direct candidates to us and it is how we receive many applications for Mercado Fresco store operators. I’m so excited about this new hire and I think Gertrudis is going to do a great job! Manuel, who has been with us since the start and is very integral to our operations in Nicaragua, has moved into a different role that fits him perfectly. He will now be our Support Sales person, concentrating full time on what the stores need to increase sales. We don’t want to just keep adding stores and halt growth with the stores we already have in operation. With over 100 Mercado Fresco stores, this is a huge need and I am so relieved to have Manuel at the helm of this effort. He is working on a individualized sales plan for each neighborhood. If there is a school down the street, he will teach our operators how to go there with juices and yogurt when school gets out and other tactics to increase sales. He has a lot of ideas already on how to help our operators and I can’t wait to support him doing this! 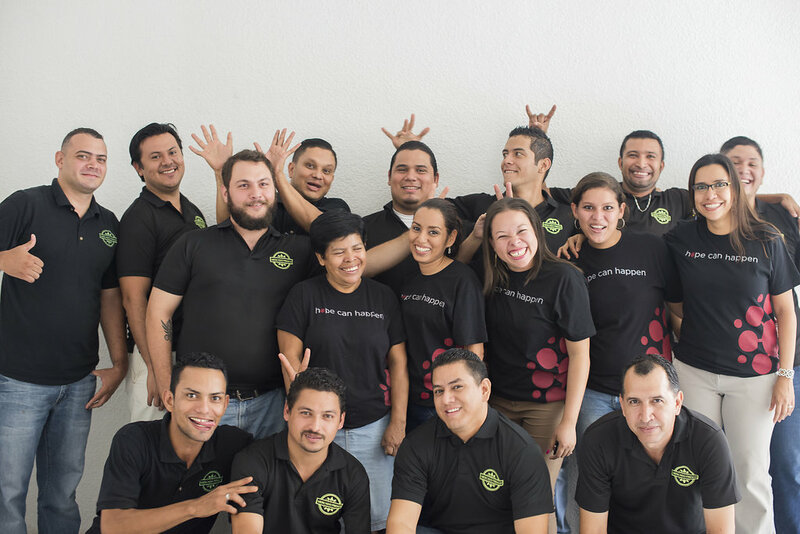 We have a truly remarkable team in Nicaragua. They work hard and are passionate about our mission. What more could you ask for! Supply Hope would be nothing without them and I am grateful to work alongside such amazing people. 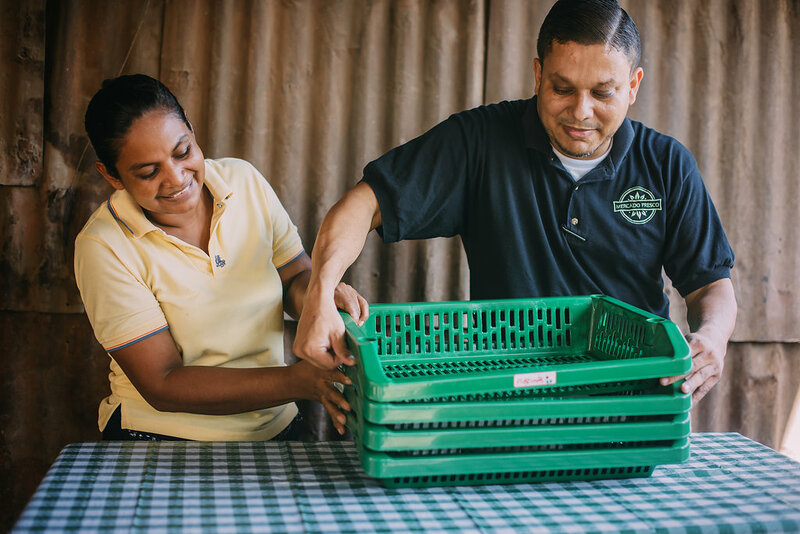 We are constantly tweaking our processes down in Nicaragua as we scale our business towards our goal of 250 stores in Managua. There is never a dull moment down here! One of the new projects we are working on is getting bank accounts set up for all our store operators. Currently we are testing this bank program with six stores. This allows the women to deposit their income daily into an authorized Rapi-Bac dealer and gets them one step closer to financial inclusion. This initiative goes hand in hand with our savings program that we launched this year. When encouraging our store operators to save, we realized that having bank accounts would increase the likelihood that our women would actually put this into practice. Leora Klapper, economist at the World Bank’s Development Research group explains, ““Access to financial services can play a critical role in reducing poverty when accounts offer a safe, convenient, and affordable way to save and make and receive payments.” Saving is not a concept that is taught frequently in these communities so we want to make the barrier to entry as low as possible when introducing this concept. Bank accounts will help us do this! 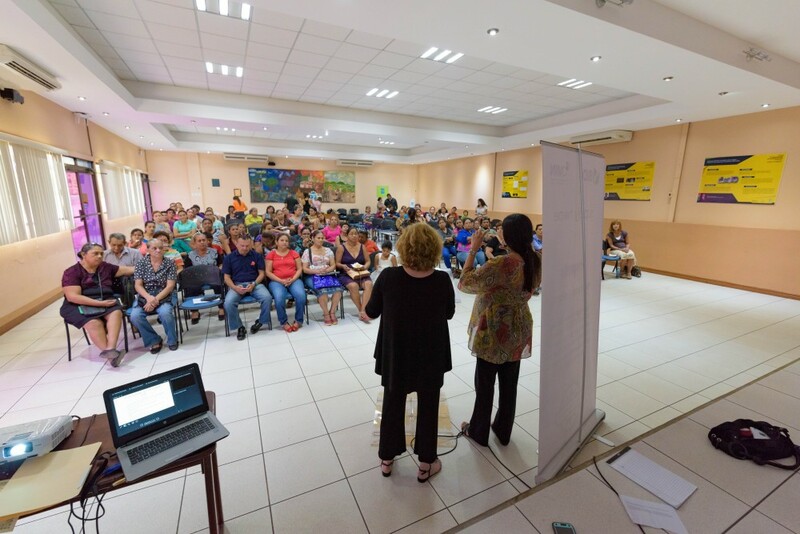 Another reason that this program is important to us, is that we will be setting up bank accounts for over 100 women living in Managua, Nicaragua. Did you know in developing countries, the percentage of women who have bank accounts is much less than men? It probably doesn’t surprise you. 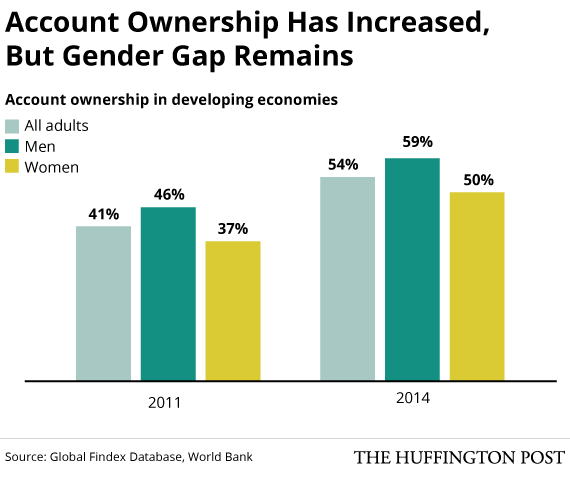 This graph shows how even though account ownership has increased since 2011, women are still behind men. Financial independence can be the key to freedom for many of our store operators. We are aware that many of our women are financially dependent on abusive partners, which can cause them to feel trapped. According to a study by Casa Alianza, “ …one in three Nicaraguan women are physically abused by a spouse, partner or other member of the household, making Nicaragua the second worst country in Latin America in terms of domestic abuse.” We have heard stories firsthand from our store operators that brings this statistic to life. It is our hope that through Mercado Fresco, women who are stuck in abusive relationships might find the courage and independence they need to protect themselves and their children. It is our hope to see all of our women set up with bank accounts within the next few months! Please note: We do not discriminate against male store operators, all our operators are women. Frankly, the opportunity was designed for women and we set out to create an opportunity that served that half of the population. However, if a man wanted to operate a store and he fit the requirements, we would not turn him away. We are always trying to increase sales for our store operators. We want each and every store to be thriving, but what we’ve learned is that products or initiatives that work for one store, might not work for another store in another neighborhood. In 2016, sales increased 12% per store, but in 2017, we want them to increase by 20%- a lofty goal! Here’s what we are working on to achieve that number. 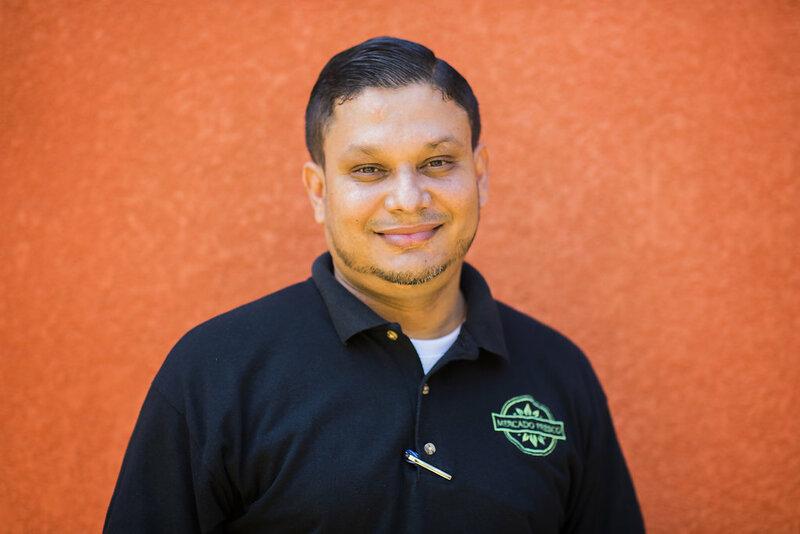 We have just hired a new recruiting person that will help do home visits and vet all of our applicants to Mercado Fresco. This frees up our current recruiter, Manuel, to move into sales. His full-time job will be in the filed, talking to the store operators and strategizing how to increase sales at every store. He will be working with our awesome marketing coordinator, Alejandra, to make unique campaigns for each neighborhood. I’m very excited to transition Manuel into this role because he is so respected by our store operators and they feel heard and valued by him. He advocates for our operators and I know he will continue to do that in this new position! 6 New Products for Mercado Fresco Stores! Once a month, our store operators come to a company wide meeting. We used to hold this session in our training space, but since we have grown so much over the past year, we are now holding the meeting in a large multi-purpose room at a local university. The women take multiple buses and walk many miles to get to us, but they always make it a priority to come. Most of them have never felt a part of something like this before. They are going to a business meeting! They dress up and come as professional women, which is an opportunity most have never had before. The women bring their children, their store helpers, their husbands sometimes. At the meetings, we tell them about new initiatives, new programs, and provide ongoing training. The best part, however, is at the end, when we give all the women an opportunity to provide feedback. They can go to different staff members, scattered around the room, and give input and ideas or express concerns. This isn’t just show for us, we truly value their ideas and what the women have to say! After all, these women know more about their customers than we ever will. So when many many store operators come to us asking for the same products, we listen. Then we go do more market research and figure out if these products will have significant margins for our women. A year ago, I was very hesitant to introduce home goods into our stores. Our store operators kept telling me that they would sell well, but I felt it was inconsistent with our branding. Eventually, the motivation to increase sales at our stores outweighed the branding concerns and we introduced a few cleaning products. It turned out to be the right move, as these products bring more customers into our stores now. The margins might not be the highest for these goods, but if they draw in more customers who will also buy our produce, it’s worth it! We just introduced 4 more personal products: diapers, toothbrushes, deodorant, and hair gel. The other two new products are Maseca, which is corn flour used to make tortillas, and Escolar cookies. 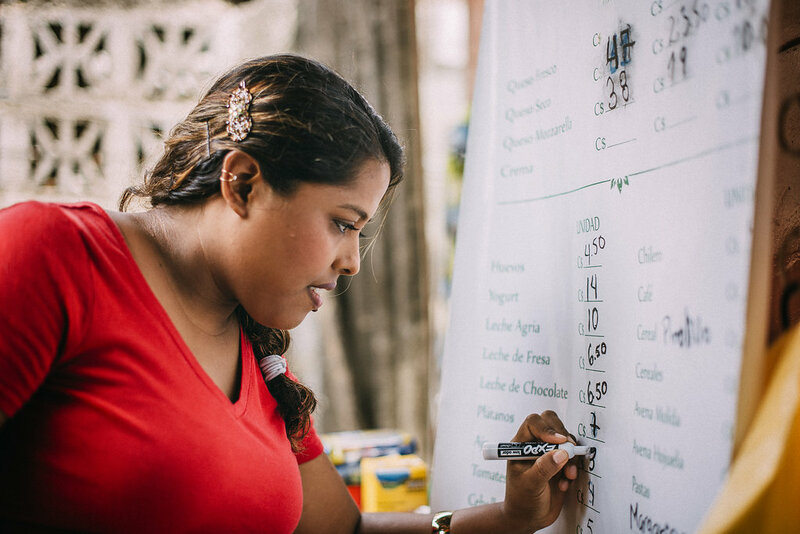 In Nicaragua, women living in poverty are not taught that their ideas are valued. In this patriarchal society, it is uncommon for women to lead, to contribute ideas, to be in business. I love that we give these women the opportunity to express their ideas and have influence over Mercado Fresco as a business. We love to receive their feedback and use it to make the stores better! Often, our new products are spawned from a discussion in our monthly meeting, from the voices of the business women gathered. 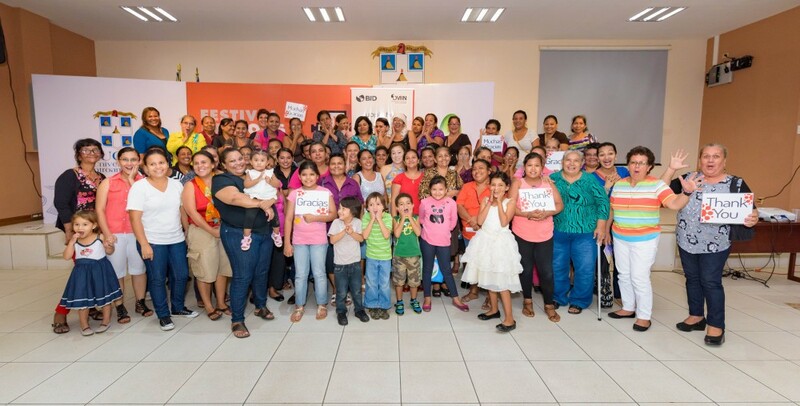 By the end of this week, we will have hit 100 Mercado Fresco stores in operation in Managua, Nicaragua. We have been cautiously scaling. While the demand for more stores is high, we have wanted to make sure each store has the best chance at thriving. We want to set each woman up for long-term success, or our work is meaningless. We take care with every store we open, making sure we have fully vetted the operator, given her the full training, and strategized how to best add her new store into our delivery routes. We want each store to be fully stocked with all the inventory they need and to have adequate promotion to bring in customers and sales. 1. We are doing something right! 2. Mercado Fresco stores are drastically increasing incomes for a demographic who has historically had trouble finding well-paying jobs. 3. When given the chance, people want to work hard to improve their lives and better provide for their families. 4. We have GOT to find a way to open more stores or new franchises so that we can provide work for these 400 women. The first solution our team has developed and is ready to implement is the addition of the Mercado Fresco Express stores. Many women come to us who want to open a store, but their home is in an unsafe area, it is not on our routes, it is too close to another Mercado Fresco store, or they do not own a refrigerator or the necessary land. We want to widen the gates so that we can accept more people and open more stores. All of our stores are currently in residential areas, we do not have any storefronts in more metropolitan, high-trafficked areas. Mercado Fresco Expresses will be mobile carts that can be set up at bus stops, parks, and other busy places to reach these other areas. I’m excited about this new concept because we will not only be able to provide more work for those who are eager for it, but we will also be reaching an entirely new demographic. We will be able to catch customers out and about, coming and going from work, needing a quick lunch. I am ready to get these stores up and running! We are currently fundraising for Mercado Fresco Express. We are doing research to better understand the dynamics at play for these mobile stores and are hoping to begin piloting them very soon.